Do you love this or hate this? I go back to this photo from Coastal Living over and over again. 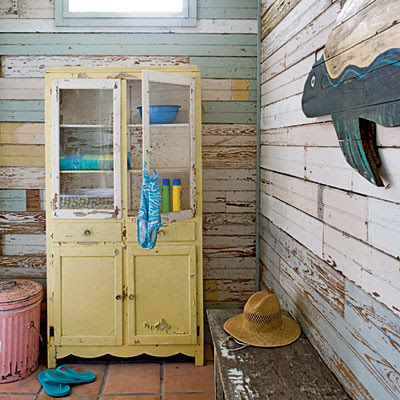 I want to re-do our guest bath with reclaimed wood like this. It's my husbands birthday today so I am off to cook and clean and get ready for company! LOVE this photo! I've had it in an inspiration folder for awhile now! ;) Happy Bday to your hubby!! Mmmmmm! Very sultry! I can feel the warmth! Aren't those colours just devine? And happy bithday to your hubby from me aswell!! Have a great day! Hate...no. But don't LOVE it because I'm not sure I would ever feel like it was real clean. Love the photo.. and I love reading our blog too! Love it! It has a mysterious, yet light-hearted feel to it. Very fun. Oh, I love it! It just may very well become an inspiration for a room around my place! I love the hutch! Not too crazy about the chippy walls. I too would feel it needed to be cleaned all the time. Happy Birthday to your Hubby! I think its adorable as its not your typical bathroom look. When I was in Maui I bought two photo frames that are made out of what looks like similar wood well the colors at least. The frames are made out of old wooden boat docks and then painted in the light blues, creams and faint yellows. So seeing this photo reminds me of my photo frames. Enjoy celebrating your husband's bday! I love the wood AND the color scheme! Very coastal cottage! My bathroom is the one room in the house (other than my daughter's rooms)that I used a lot of color - mostly blues and greens. It's so calming and relaxing! love it! Reclaimed wood is divine!! Love! But have to imagine, it might be hard to keep clean. I'm not a fan of it. I think the colors are nice but it's too rustic to the point of looking junky and careless. You know how you can look at a room years after it's decorated and it will still look fresh? This isn't one of those, I think this level of rustic is faddish and will look tired really quickly. Of course if this was a changing room by the lake with a long basin sink it would be great, but I can't see it being intentional or in a house. I love it! I think it could use an awesome vase of flowers and it would be very cool! Love using reclaimed wood! DO IT! It will be BEAUTIFUL! I love it, but it would make my husband cringe so I could never take it to that extreme. But, I could do some of it and make us both happy. I say go for it. Love it.. My next store will be more coastal themed and this would be perfect for the walls. In a residental setting.. maybe one wall would be better than the whole room. Looking forward to seeing your new pillow designs. LOVE, LOVE, LOVE! Although walls in a bathroom would be difficult to clean...but any other room would make me happy! 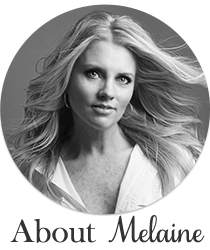 Love your blog, I am so new to the blog world, all this is so fascinating! Happy Birthday to your husband! that yellow piece is a stunner! ooohhh... I love it for sure!!! I saved this pic a while ago and look at it often! Needless to say, I love it! The colors, the casualness, that cabinet, it's all fab. I really love this image. In the right location it would be amazing. I am catching up on my favorite blogs. I have missed visiting you! I love this photo! I saw your fireplace makeover on Layla's (The Lettered Cottage) post for today! I love what you did to your fireplace. You are so talented! I usually love everything you do but honestly, not loving this. Oh well, variety is the spice of life. I love it! I think it would be perfect in a beach or cottage settting. LOVE that it's so far from PERFECT that it IS perfect! happy bithday to your hubby from me aswell!! Have a great day! How darling!! I love all the beautiful photos and ideas!